Dua Lipa made a surprise appearance at Madame Tussauds ahead of the Brit Awards as she unveiled a waxwork in her image on Friday night. The pop singer, who claimed two Grammys at last Sunday’s event in Los Angeles, opened the London display, which recreates one of her live performances. Dubbed the Glow Room, the exhibit features the outfit Lipa wore during her 2017 performance at Glastonbury. Fans will be able to pose with the waxwork while 10 cameras fire sequentially to create a short 3D animated image to share to social media. For the second year running, the 23-year-old leads nominations at the Brit Awards, collecting two nods for British single and two for British artist video of the year. Speaking at the launch, she said: “It blows my mind. It’s pretty crazy to see it come to life. I’m hoping I can take it home with me. 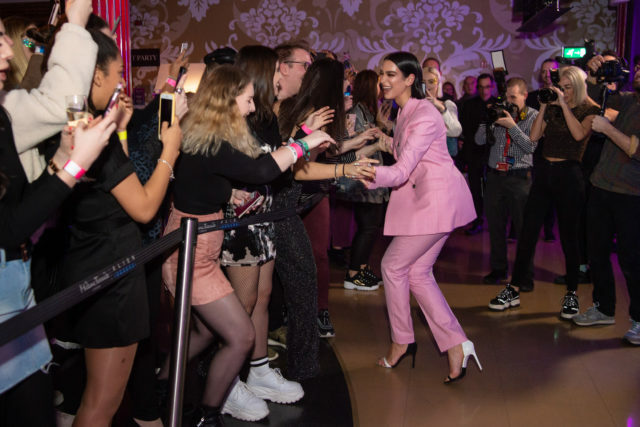 Madame Tussauds general manager Steve Davies said: “We had a lot of fun setting up this special moment with Dua for her fans. The Dua Lipa Glow Room opens on Saturday February 16.